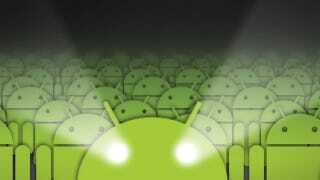 Google's revealed a new feature to the Android Market called Bouncer, which will scan available apps for malware without hassling developers or interfering with user experience at all. It's one of the first signs that Google's taking Android malware seriously, and it's about time. Bouncer works on a few levels. As new apps come in, they're analyzed to see if they're carrying malware, spyware and trojans. It also compares how an app is operating versus how it's expected to operate, and how that compares to similar apps that have been problems in the past. And finally, it analyzes new dev accounts to see if they're just old malware hawkers coming back around (how that last part works is less clear).